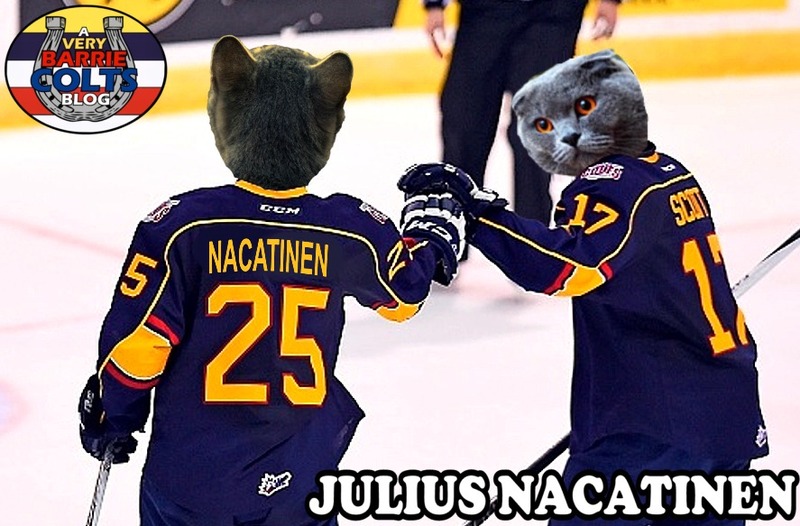 Barrie Colts trade Julius Nattinen to Windsor Spitfires. #OHL - Very Barrie Colts | A website covering the Barrie Colts of the OHL. It was announced that the Barrie Colts made a trade that wold see forward Julius Nattinen as well as a 12th round pick in 2017 to the Windsor Spitfires for defenceman Kyle Auger and a 2nd round (GUE) and a 4th round (FLINT) picks in 2017. Auger, who is 17 played in 28 games with the Spits last season would put up 1 goal and 2 assists over that time. No doubt that Barrie is looking to add some point production on the blue line and the team seems confident that Kyle can do that. Colts pick up good offensive blue liner in Auger. Joins a talented young group on D that includes Murray, Tucker, Cameron, Landry& Brassard. Nattinen finished last season with the Colts with 22 goals and 49 assists for a total of 71 points. Though that was enough to make him 3rd on the team for points, many seem to feel that he never fit in with the team. At times, he showed greatness but then he would go unnoticed for the next few games. but to me he never looked motivated. Times he was solid and others he was invisible. Though Natti did show signs of skill, he really disappeared in the playoffs. Whether because he wasn't happy or what, this trade sides a fresh start moving forward and maybe a Memorial Cup run could give Nattinen the motivation to carry his effort beyond the regular season. We would like to wish Nattinen the best of luck in Windsor and we happily welcom Kyle Auger to Barrie!